Outrageous looks meet a striking sound. 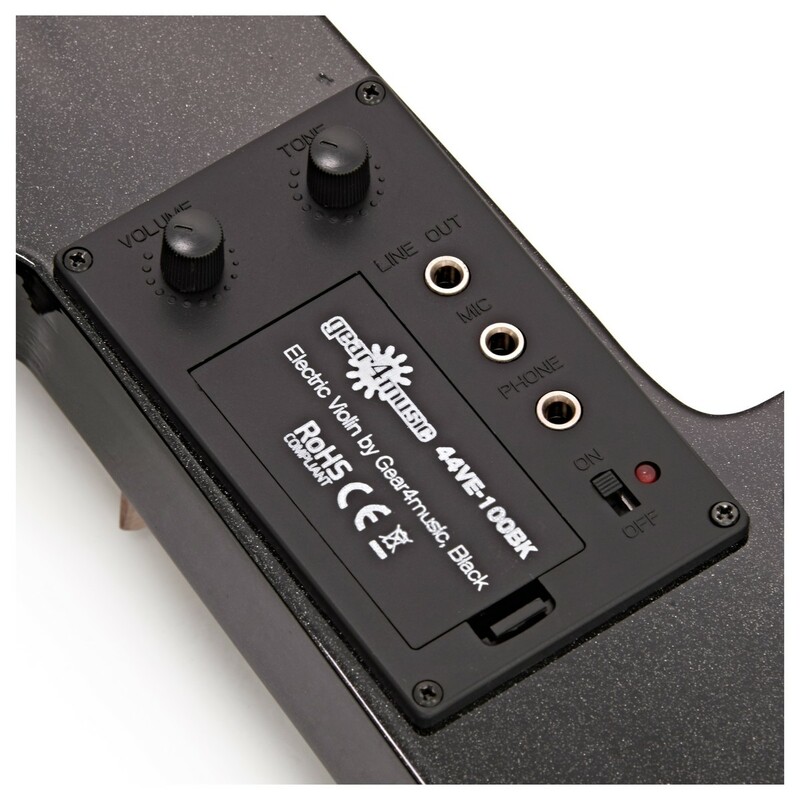 Crank up the volume to excite crowds or use headphones to practise in near silence. With its active pickup, the full-size Electric Violin by Gear4music is easily connected to guitar amps, PA systems and FX pedals for vibrant new tones and dynamics. 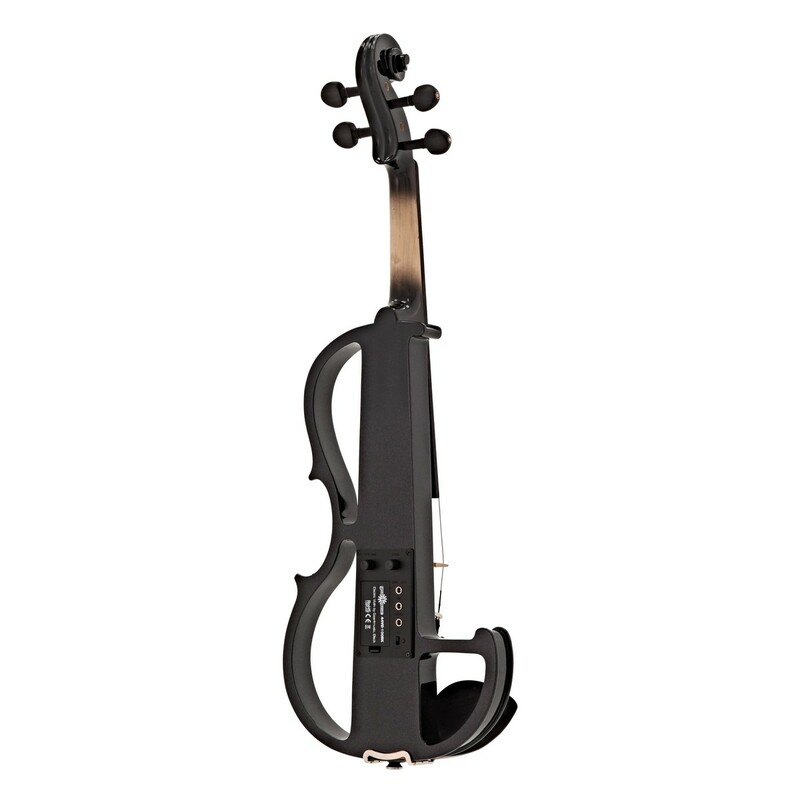 Built from durable materials and with high quality components, it's a great second instrument for violinists looking to expand their playing. Get creative. Combine your violin playing with guitar amps, FX pedals, effects processors and more for original performances that make a statement. 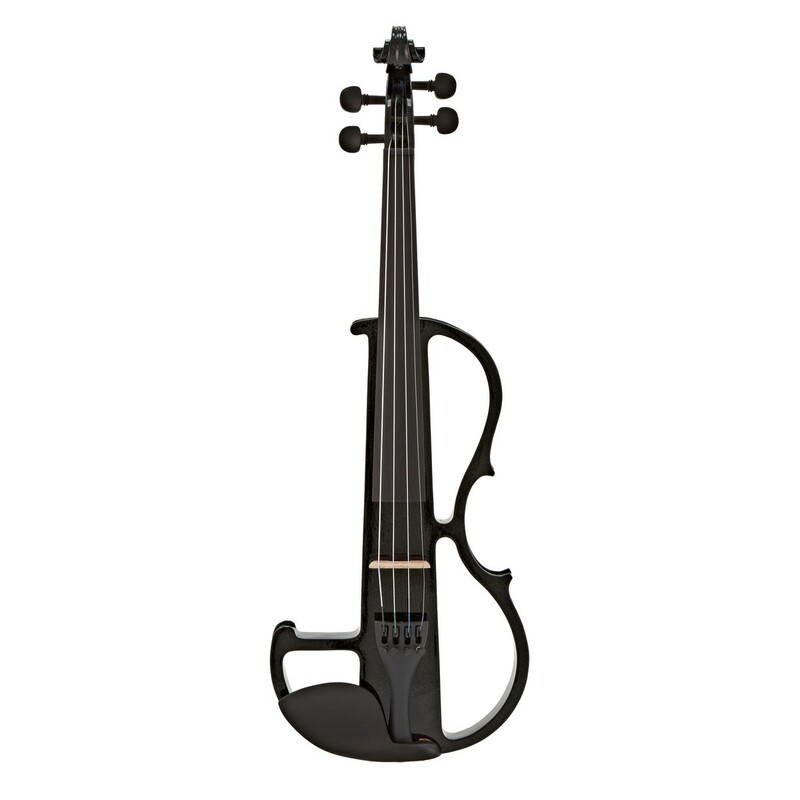 The full-size Electric Violin by Gear4music includes an adjustable tone control and custom-designed under-bridge pickup for a prominent and colourful tone that stands out. 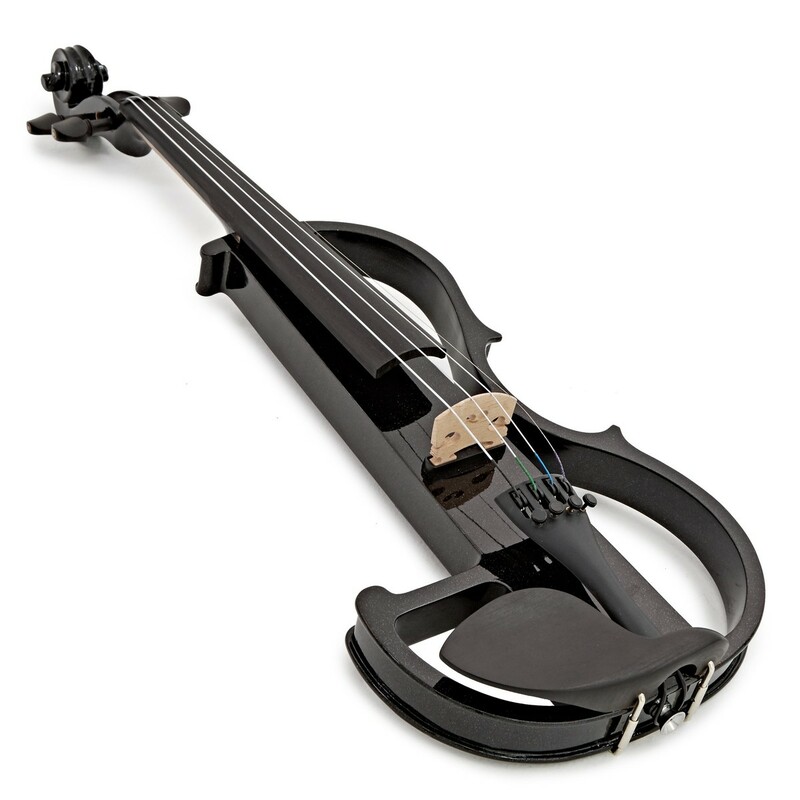 A great second instrument for violinists looking to play pop, rock or do busking. The headphones output is perfect for quiet practise. 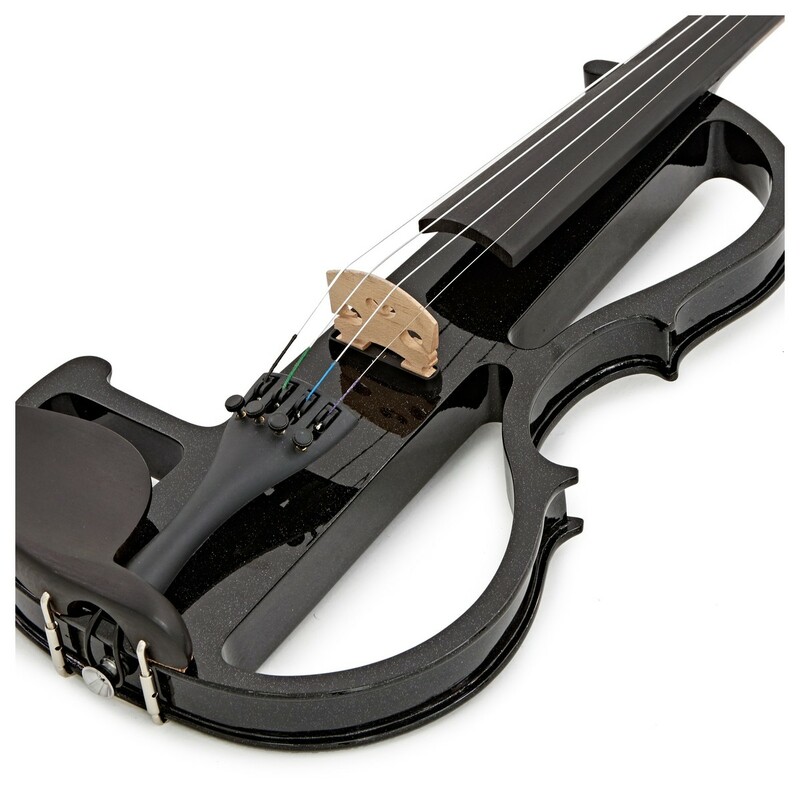 Thanks to its bodyless design, this electric violin is virtually noiseless when played acoustically. Now you can practise at unsociable times or in extreme registers without disturbing anyone. Achieve accurate tuning quickly and easily. 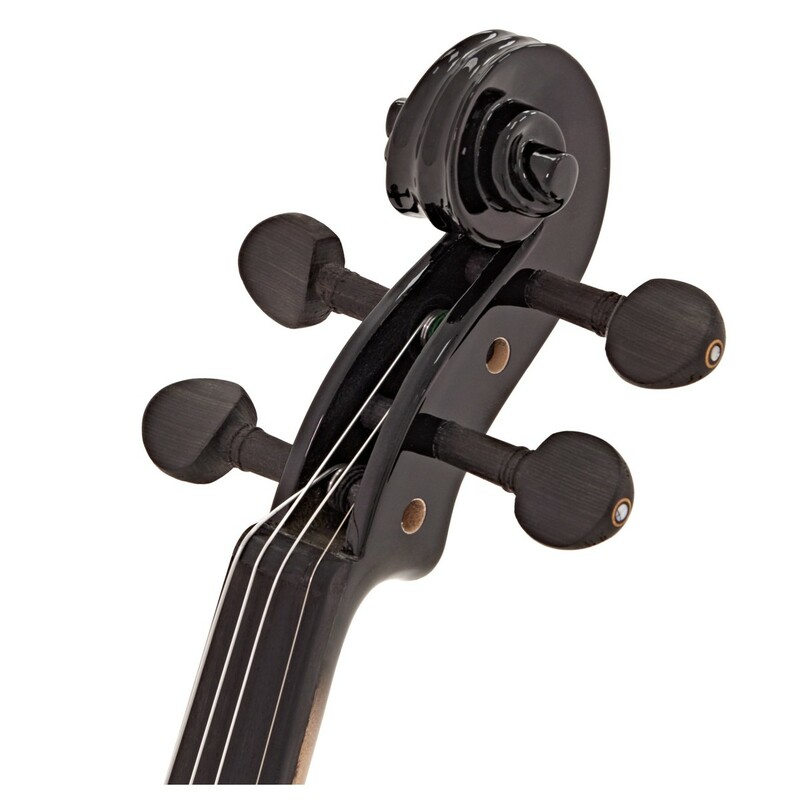 The strong, ebonised birch tailpiece is fitted with four integral tuners for precise tuning. The long-life steel-core strings include coloured silk wrappings to provide friction against the pegs – helping stabilise the pitch – and aiding beginner students with string identification. Stand out with this stunning bodyless design. Extremely lightweight, the skeleton look resembles the same shape and balance of an acoustic violin, providing the familiar playability you're used to. The electric violin's body is mostly crafted from paulownia – an extremely lightweight wood which offers a sweet tonal quality. This is complimented by a maple bridge, maple neck and ebonised birch fingerboard, then completed with a black gloss finish that's easy to clean. The Gear4music Electric Violin includes everything you need to get playing straight away. The bow is reliable and easy to use - crafted from hardwood, it offers the right balance between density and durability. 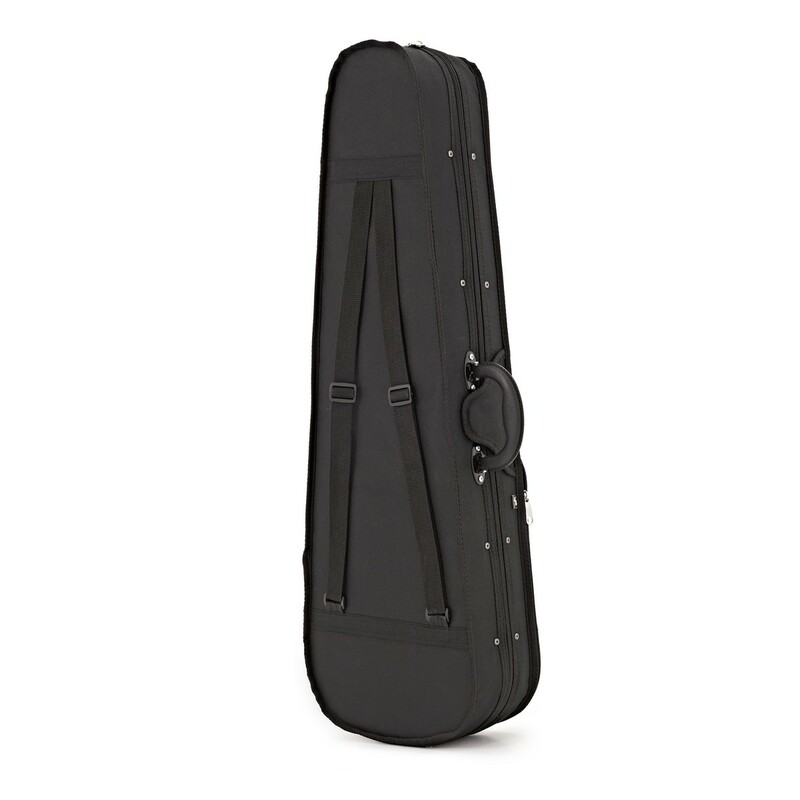 Meanwhile, the lightweight case is a perfect fit for your instrument. It provides protection when out and about, and is finished with a tough canvas covering, zip opening and carry straps. It also includes a useful pocket for keeping sheet music and other accessories safe. 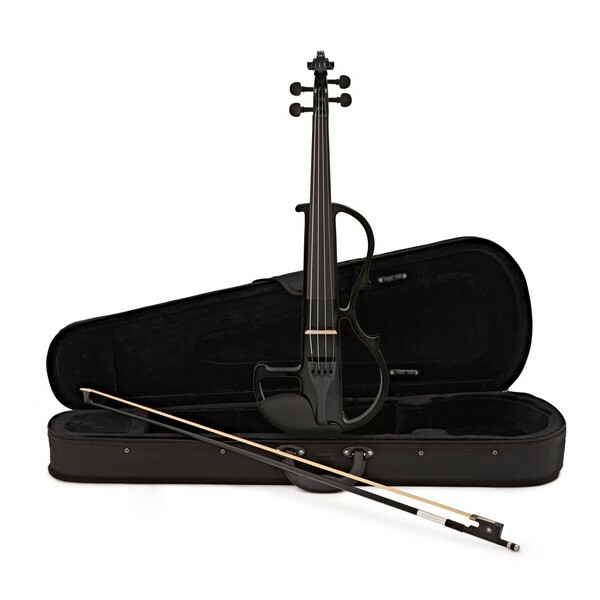 Ideal for transporting your electric violin to lessons and performances.